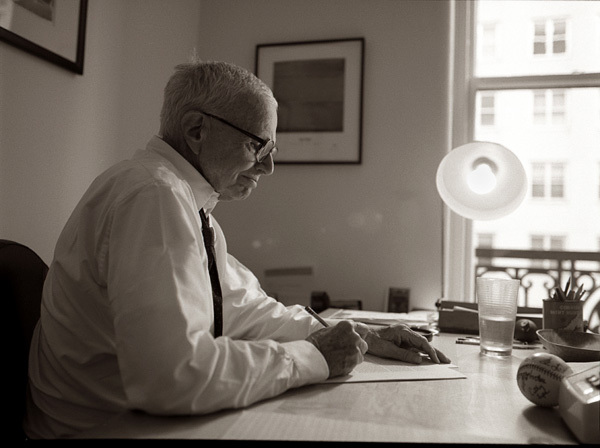 William Zinsser is a bit of a genius. His book On Writing Well changed at least my writing, if not my life. We'll talk more about that at another time, but for now, remember that his four rules for good writing are as follows: clarity, brevity, simplicity, and humanity. In a recent acceptance speech at his high school alma mater, Zinsser told his audience that what he, now in his 80s, has in common with them, in high school, is that they all want the same thing: to have an interesting life. Just have an interesting life. Isn't that enough? How much more satisfying than, say, "to make a ton of money," or "to win a Grammy," or "to sell my company." Sorry if I've started the year off on a self-help tangent. But just think how you might live differently if you adopt that as your goal. What does this have to do with marketing? Well, everything. How much better could you do your job if your life was more interesting? How much more interesting would your brand be if you were more interesting. And what about the goal of building an interesting brand? The analytics folks are going to say "Yes, but whats the ROI of being interesting?" To that I ask you: What's the ROI of not being interesting? See, it turns out people like interesting brands, and the interesting people behind them. You don't have to like these people, but I'm sure you'll agree that Steve Jobs is interesting, Jay-Z is interesting, Phil Knight is interesting. You may not know much about Dietrich Mateschitz, Ferdinand Porsche, or Asa Griggs Candler, but a lot of people find that Red Bull, Porsche, and Coca-Cola very interesting. What if your boss (client, board, etc.) told you that your mandate for 2011 is to make the brand interesting? What would that look like? What would you do differently? And how would that affect your excitement for the coming year?